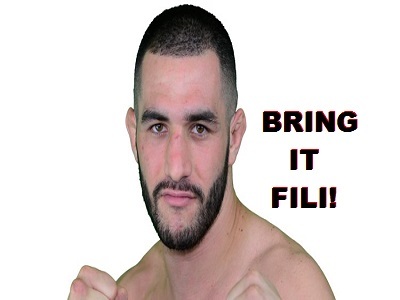 Jared Gordon wants Andre Fili, believes Brazil cost him the finish, move to featherweight? I thought he was taking a lot of punishment, and I was landing over and over with big strikes. I was looking at the ref like, ‘What more do I have to do to get the finish?’ But we’re in Hacran’s home country, and respect him. He’s a tough fighter, he’s a great guy, he’s a veteran. So they gave him a chance to come back into the fight and I just have to deal with what comes, and I did what I did. I thought I deserved…It was right there. If this was somewhere else, I think they’d have stopped it. After the bout he reiterated his feelings about being a true featherweight and then wasted no time in calling out Andre Fili for a fight. I truly believe I’m a featherweight. Even Hacran coming up from featherweight was bigger than me. I think if I’m going to perform at the highest level, it has to be at featherweight. I’d love to move back down, so that’s what I’m hoping for. I did have trouble (making weight) getting down there. But I’m a student of the game, and I’m trying to learn, and I’ll do what I have to do to get down there. I’ve made it before and I’ll do it again. It was the UFC’s decision, so hopefully I can sway them into letting me go back down. I’d love to fight Andre Fili. I think it would be an amazing fight. He’s a great fighter, and I think it would be a lot of fun. I think it’s just an exciting matchup. He’s someone I know I could beat. He’s a great fighter, so I know we’d put on a good show. I respect him as a fighter, but I’d love to fight him. Gordon has a steep hill to climb to get in to the title picture, but his confidence may just get him there.